Looking for a way to really cool off this summer? 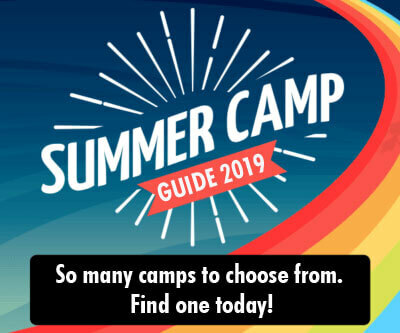 Pick from our top list of recommended swimming camps in the city! Swimming camps are the best things to choose for your young kids, because, hey, it’s summer! What better way to beat the heat than taking a dip in the cold, inviting waters of a swimming pool? Spend a few hours this summer watching your kids learn swimming from the best coaches in the city. Choose from beginners’ or advanced batches based on your comfort. Freestyle, breaststroke, back stroke or the butterfly- learn all of these and more. Get the kids out of the house and into the pool! 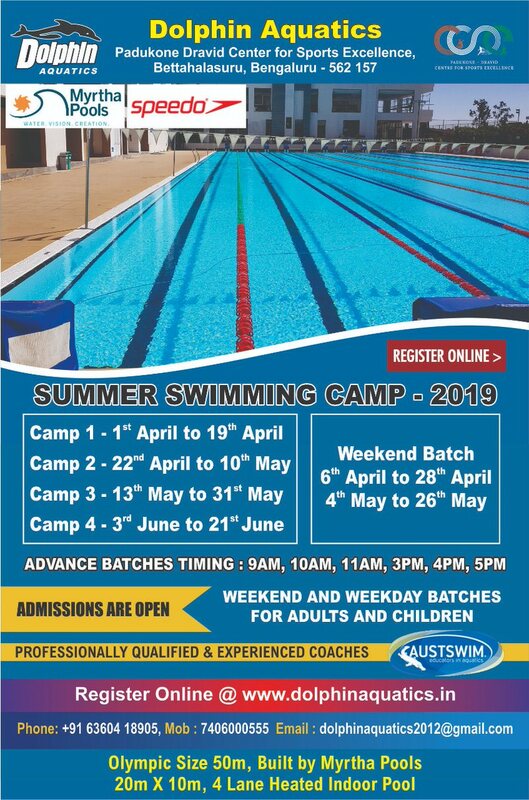 Dolphin Aquatics Swimming Summer Camp 2019 ensures swimming lessons from the basics to a higher level in training under the watchful eye of trained coaches and lifeguards who promise safe swimming. A core team of trainers and varied timings suited for children and adults truly make this an ideal summer activity. 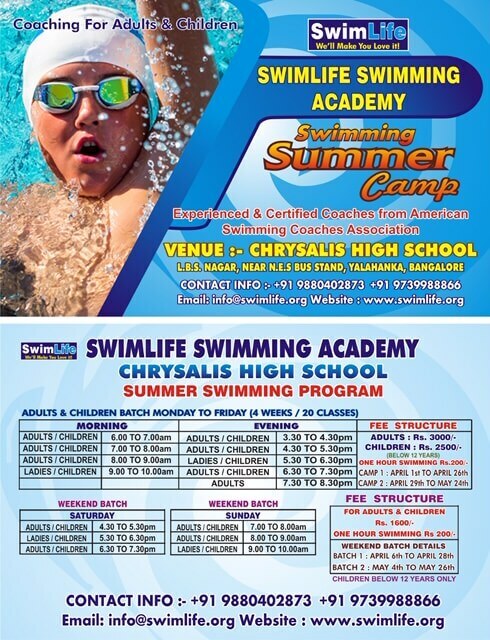 Nisha Millet Swimming Camp offers exclusive swimming camp for kids according to their age and skill sets. Choose a session based on age groups and learner level. With names of levels like starfish, dolphin, frog and shark, this will be fun! 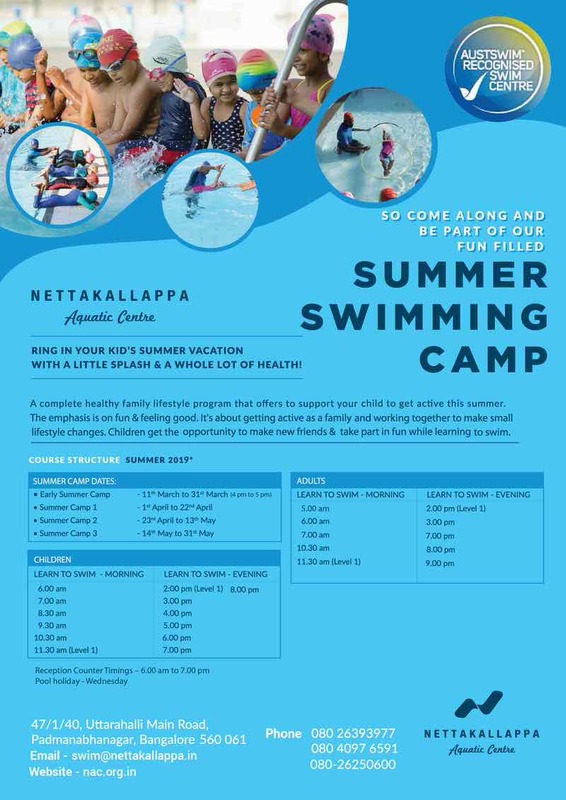 Nettakallappa Aquatic Centre brings International Standard structured Learn to Swim & Aquatic Safety Swimmer Camp for children 4 yrs and above. A customised program is developed with Varanashi Swimming Academy which covers various aquatic skills and stroke mechanics in a progressive pathway. The center offers training from basic swimming to training till the Olympics! This holistic program covers not just swimming technique but also aquatic safety and drowning prevention. 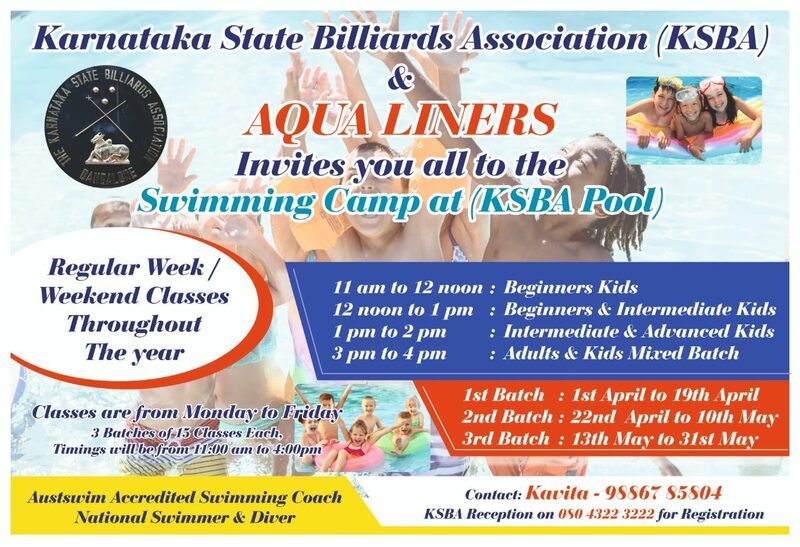 Enrol in any of the batches organised by the professional team of Aqua line camps at the KSBA. Adults and kids are both welcome. Notable is the batch reserved especially for special kids so make sure you register soon. 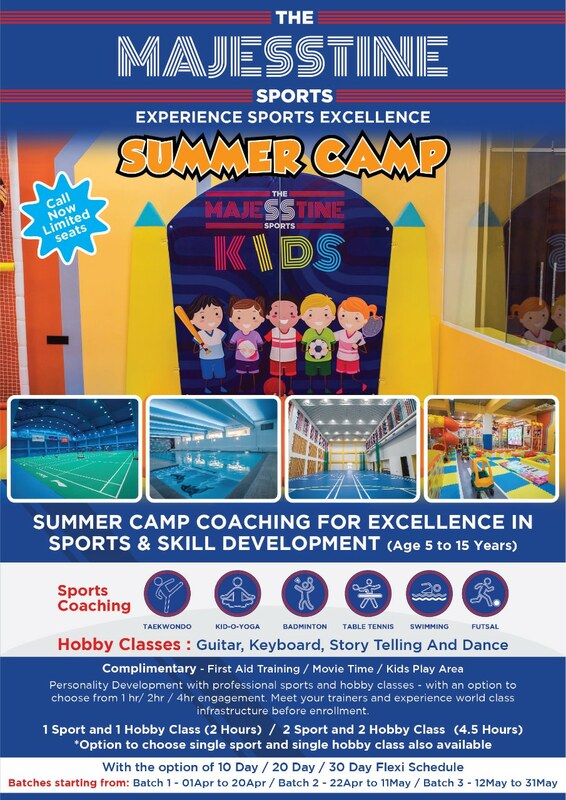 The Majesstine Sports is a world class, integrated indoor sports centre. 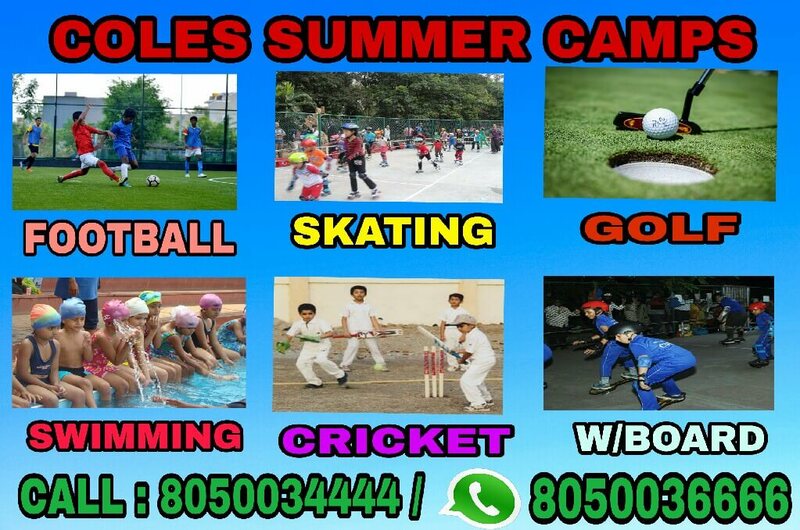 Majesstine Kids Summer Camp will be focused on sport and hobby to encourage sports and skill development for optimal development of kids. 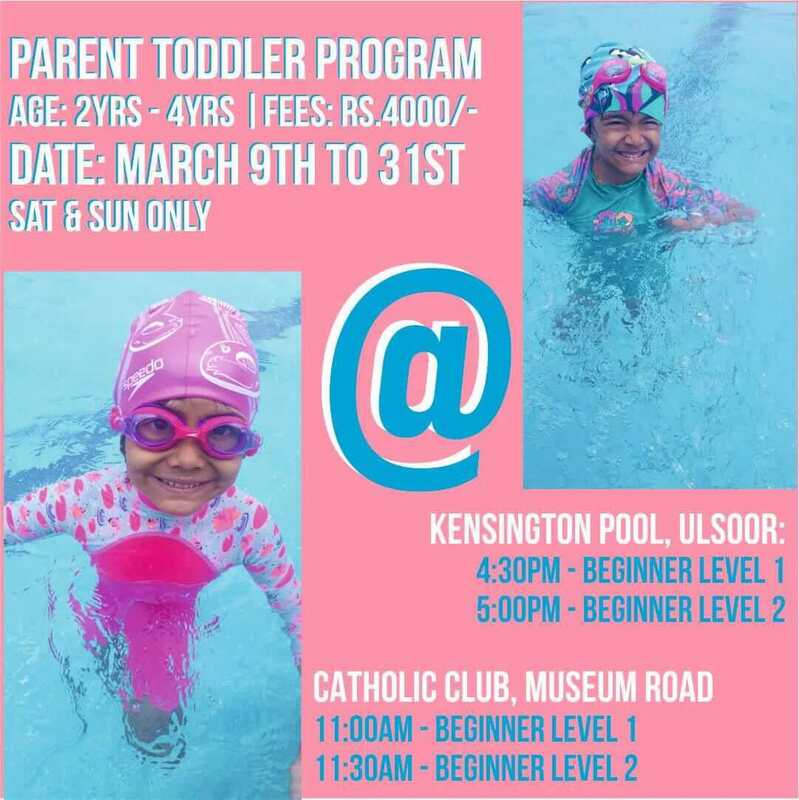 Kids aged 3 years and above will love this swimming camp. 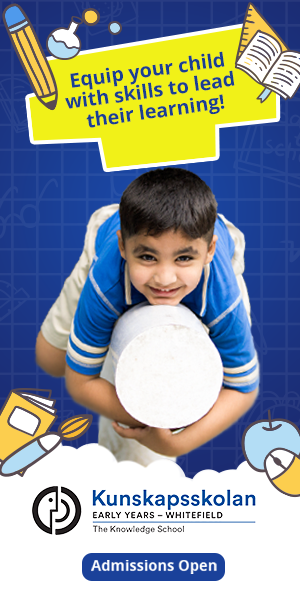 Parents, it's ideal for you too because they provide a pick-up and drop service at your doorstep. Sit back and relax. 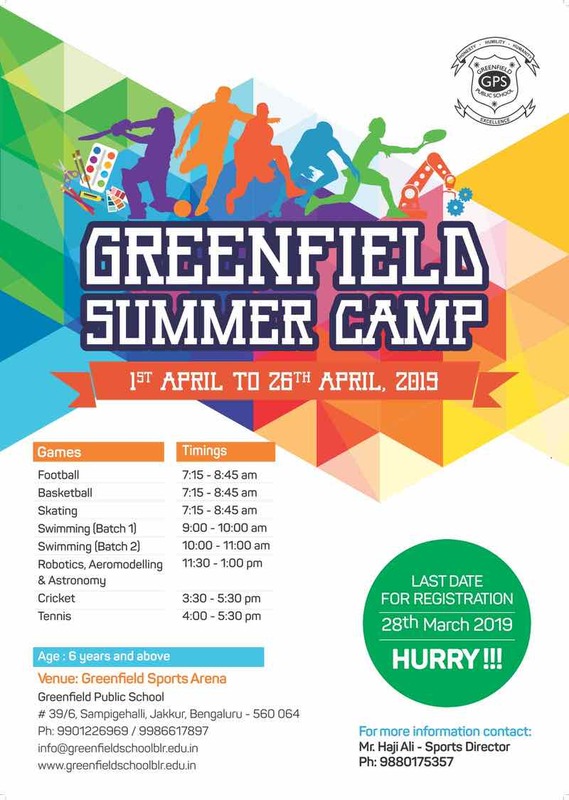 Kids aged 6 to 16 can choose from this fantastic line up of outdoor and indoor activities: Playgym Activities, martial arts and gymnastics, cricket, football, basketball, throwball, table tennis, archery, board games, wall climbing, bungee jumping, aqua play, zip line, trampoline. Hurry! Register today! 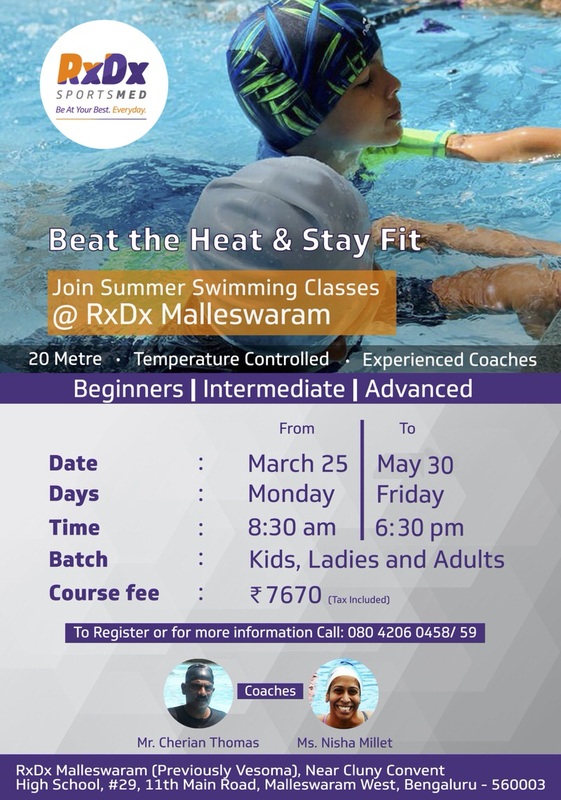 Beat the heat this summers and learn to swim like a pro at RxDx Summer Swimming Camp! 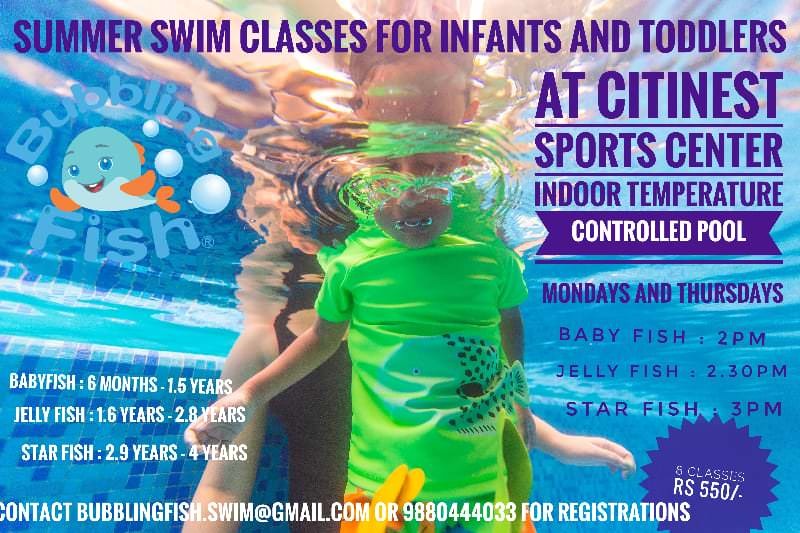 Get swimming lessons by the expert herself Ms. Nisha Millet and Mr. Cherian Thomas. There are 15 classes planned for kids, both beginner, intermediate and advanced level as well as for adults. 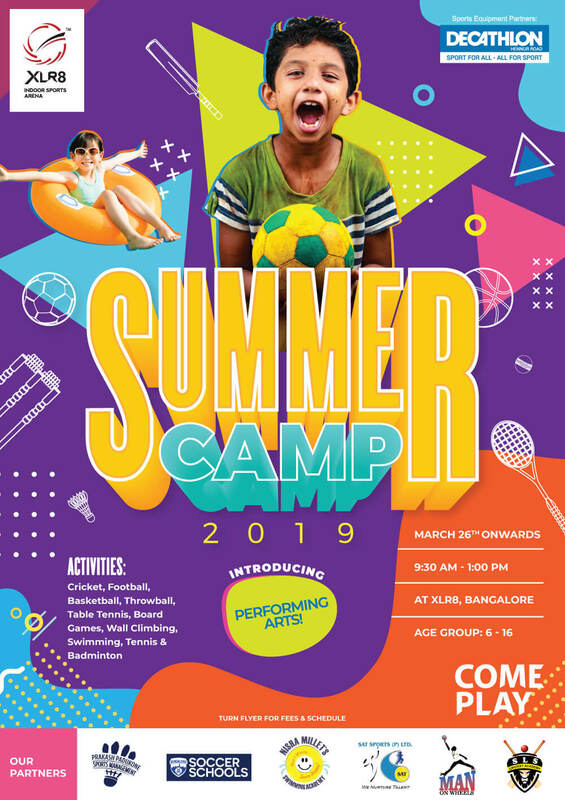 This multi-pronged summer camp in Jakkur is ideal for North Bangalore residents as kids can choose from a variety of sports and physical activities. Pick swimming if your kids are water babies. They'd love it! 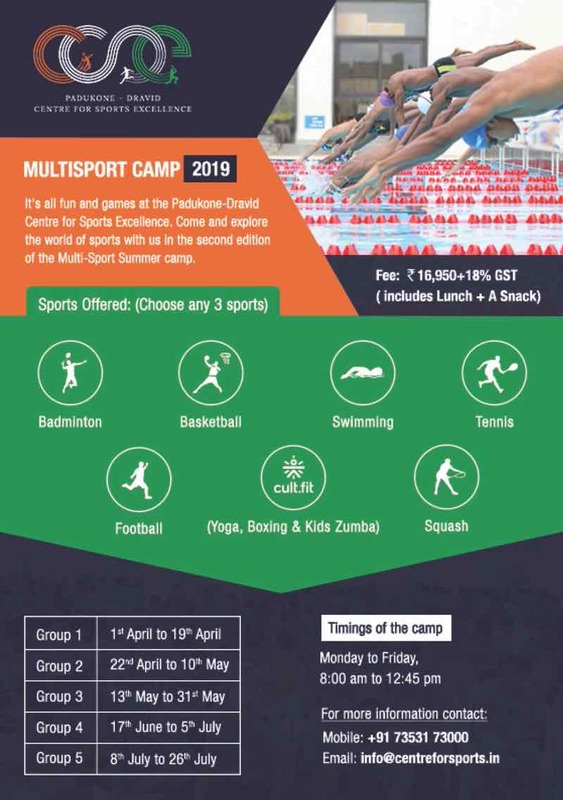 Here's a fun sporty summer camp for your little ones! 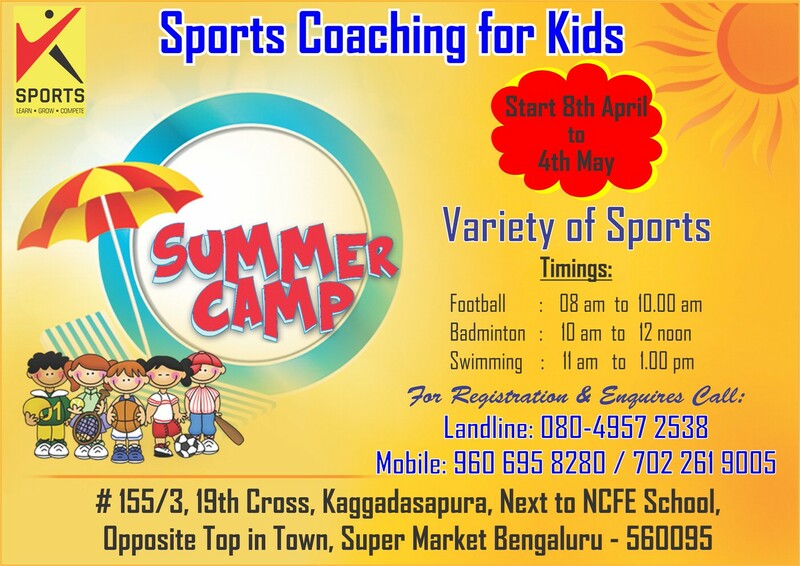 Join the Sports Coaching For Kids by VKSports and introduce them to football, badminton and swimming. Get coaching from professionals and learn to play like a pro. With weekdays as well as weekend batches, this camp fits into the schedule of all. Suitable for adults and kids, this has two batches, one in April and the other in May. Folks around Yelahanka, this is for you!